This dress caught my eye instantly…even though the print is bold all outfits are very different. The first outfit is a little hipster because of the hat and the booties…the second one is definitely grunge…and the last one classic and timeless. Este vestido me encantó apenas lo vi y siento que le he sacado bastante provecho…aunque es bastante llamativo y único por su estampado es bastante fácil combinarlo de distintas maneras. El primer outfit es un poco hipster por el sombrero y las botitas…el segundo es más "grunge"… y el terceo es elegante y clásico. Gorgeous dress, love how simple changes in the styling can create a totally new look. Love the middle look, great dress! 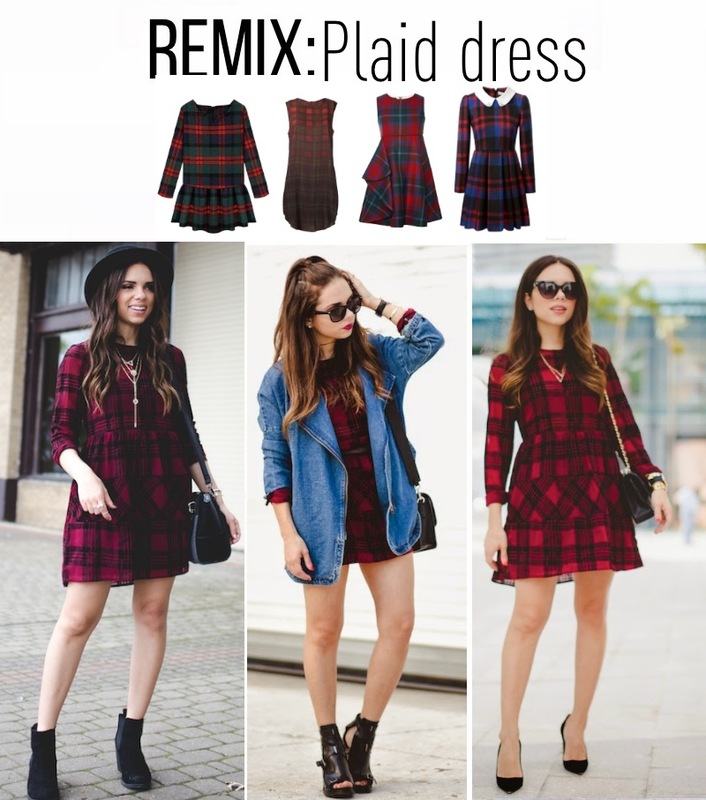 Love the looks and how you remixed it!! Haven't tried this trend yet, but it looks super cute! I definitely love look #2 and #3 but #3 is my favorite because of its classy look!